Solar power on properties he rents out also makes him a green landlord. Back in high school, Peter Taggart’s guidance counselor had no advice for the kid who loved shop and couldn’t visualize heading off to college after graduation. So the day after he graduated, he hitchhiked from Wellesley, Massachusetts, to Belgrade to start work as a handyman at a resort. It wasn’t the first time he’d hitchhiked to Maine; the lure of his family’s camp on Great Pond was fairly powerful, but this time he stuck around. Forty-plus years later, he runs a successful, Freeport-based construction company that specializes in green building; the self-made man has a serious interest in sustainability. We talked to him about his electric truck, how he uses solar power as a landlord and how renovating a bed and breakfast changed his life. LOVE AND MARRIAGE: He resumed carpentry and then in the early 1980s found a job that tapped into those business skills, managing the warehouse for the Federation of Maine Coops. The food cooperative, which most knew as Fedco, was in some turmoil over how or whether to grow and closed not long after he left. (Its offshoot, Fedco Seeds, is, of course, one of Maine’s most beloved institutions.) Taggart returned to carpentry and bought his first house, in Oakland. 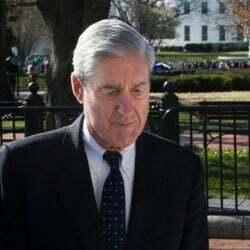 How did he end up in Freeport? Short answer: Love. He met a Boston woman who agreed to move to Maine, but only if they were Portland-adjacent. Throwing down that gauntlet ultimately led to both marriage and a booming business. FREEPORT FIXER-UPPER: After six years at a Portland construction company that specialized in historic preservation, he was ready to go out on his own. Founding Taggart Construction involved some serendipity; Taggart and his young family lived next door to an apartment building in Freeport whose owner was trying to convert it to a bed and breakfast. But the work was going slowly. “I was sort of watching the guy pick away at it,” he remembers. “One day I just walked over and said, ‘Listen, I will help you write a business plan and if you guys can get financing to do this, I’ll help you renovate it and you can be my first customer.’ ” That was the early 1990s and the B&B, Brewster House, is still in business, although under different ownership. Taggart Construction now has a staff of 25. ALTERNATIVE ENERGY: Energy efficiency had long been an interest of Taggart’s and now that he was running his own business, he began to pursue it more seriously. He got deeply involved with the Northeast Sustainable Energy Association, a group of builders and architects pursuing better ways of building. 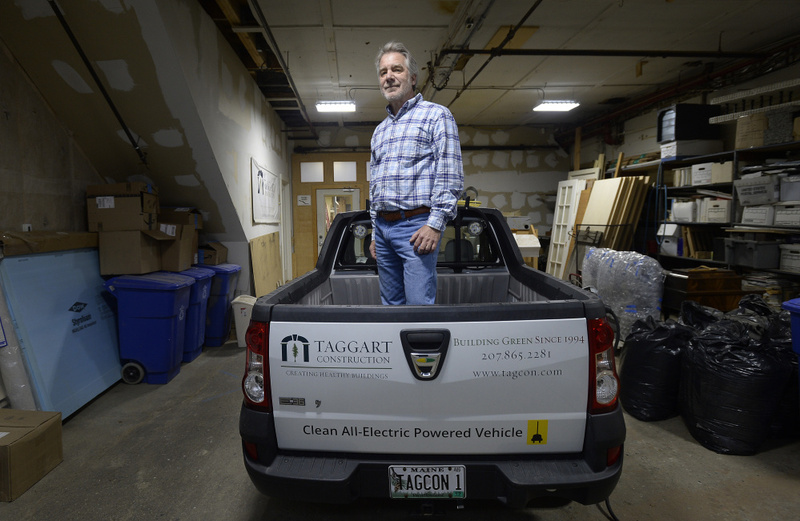 “It was that group that by and large was responsible for my growth in and knowledge of green building.” Today, Taggart Construction owns two electric trucks, including a mini-pickup that is the exact model of a tiny, mega-efficient Renault that once captivated Taggart during a trip to South Africa. OTHER PEOPLE’S HOUSES: Taggart also has a realty business and owns 17 buildings in Freeport and Brunswick, including the Stetson block, which he hopes to restore to its original late 19th-century glory. “I love buildings, and I love fixing up buildings.” He’s installed solar panels on three of them and distributes the credits he earns there to power the other buildings (or at least, to the shared electricity in them; tenants pay their own electric bills). The buildings are either heated with natural gas or, where the envelope is tight enough, heat pumps.